Who Qualifies for the $6500 homeowner tax credit? When President Obama signed the economic stimulus package 2009 as a way of renewing a depressed economy, the major attraction in the package was an $8000 tax credit for first-time home buyers. However many people felt that the tax credit was not enough to revive the economy since it left out a significant portion of people who had already owned homes before and were moving up or relocating to a new place. In November 2009, President Barack Obama signed the Worker, Home ownership, and Business Assistance Act of 2009 which extended the first time home buyer tax credit and offered a $6500 homeowner tax credit to existing homeowners. Who qualifies for the $6500 Tax Homeowner Credit? In order to be eligible for the $6500 tax credit, an existing home buyer must have lived in his/her primary residence for five consecutive years out of the past eight years. According to IRS, home buyers must buy or enter into a binding contract to buy a principal residence after Nov. 6, 2009, and on or before Apr 30, 2010 to be eligible for the tax credit. They are also eligible if they sign a binding contract and close on the new home on or before Sept 30, 2010. To be eligible for the long-time homeowner credit, a home buyer must be 18 years or more by the closing date and the total purchase price of the home cannot be more than $800,000. According to IRS, to be eligible for the $6500 tax credit both spouses must have owned and used the same previous principal residence for five consecutive years. A home owner who already owns a home but is buying a second home to be used as the primary residence is eligible for the tax credit if he satisfy all the other criteria. The full credit will be available to taxpayers with Modified Adjusted Gross Income up to $75,000, or $150,000 for married couples filing jointly. Those with MAGI between $75,000 and $95,000, or $150,000 and $170,000 for joint filers, are eligible for a reduced credit. The new law gives members of the Armed Forces and certain federal employees serving outside the U.S. an extra year to buy a principal residence in the United States. To qualify for the credit they must buy or enter into a binding contract to buy a home by April 30, 2011, and settle on the home purchase by June 30, 2011. The $6500 homeowner tax credit is expected to revive a lagging economy. This is one of the best times to buy a home; home prices and interest rates are at the lowest levels while the economy and the job market are expected to improve soon. Long-time homeowners can claim the tax credit by submitting Form 5405 along with all the necessary documentation. 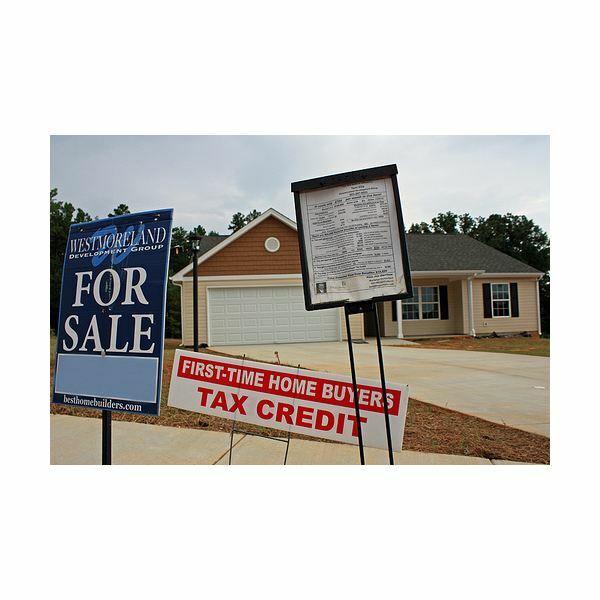 The IRS website is full of information for those seeking more info on the long-time home buyer tax credit.